When you are preparing for your tax appointment, how do you know what is considered tax essentials for tax season? As a small business owner or a self-employed individual, you have a lot of tracking to do throughout the tax year to be prepared for filing your taxes. You must track all your income plus all of your expenses, but it does not stop there. You must also keep records for employees, insurance and professional licenses. All of this can be overwhelming in general, but to think there is a possibility that your records would not hold up in audit can be downright terrifying. The good news is there is a proper way to keep records that will stand up in an audit if you maintain them properly. The two most common items that are audited on a small business return or a Schedule C for a self-employed individual are vehicle expenses and meals and entertainment expenses. These two areas have specific guidelines from the IRS in how these records should be maintained in order to be substantiated in an audit. 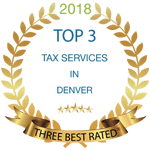 Vehicle expenses tend to be a large expense and if you aren’t keeping proper records any disallowance of this expense category can result in a hefty tax bill that you were not expecting. Keeping a mileage log used to be a very tedious and time-consuming task, but with the technology available today, it is as simple as downloading an app on your smartphone or tablet. The IRS does not require a mileage log to be kept on paper with a pen or on a spreadsheet, they only require that it be kept contemporaneously- on an ongoing and regular basis- and that it contain the necessary information to verify the business purpose of the trip and the deductible number of miles eligible to be claimed. A mileage log must contain the beginning and end year mileage. This is most easily recorded by getting a professional oil change at the change of the calendar year. This provides you with third-party documentation to provide to the IRS if your vehicle expenses are being audited. You can download a printable version of a mileage log here if you are the pen and paper type of record keeper. If you prefer something that you can deal with once a week rather than every single day, then you can download MileIQ which is an app for your smartphone. This app tracks mileage for you when you are in a moving vehicle and can then be categorized within the app by the purpose of the drive. The app tracks the monthly and annual mileage for you at the current mileage rate and then at the end of the year you can email a mileage log to your tax professional to be used with your tax records to file your tax return. **Promo Code AKEN534A will give you a discount when purchasing the app. ** There is a free version that may be useful for your purposes. Make sure you understand what is offered so you know if the free version will be sufficient for your needs. Meals and entertainment expenses are scrutinized by the IRS under the ‘ordinary and necessary’ guidelines. The IRS is not going to allow a taxpayer to write off all their personal meals as a business expense so they will look at the business purpose of the expense. Receipts for meals and entertainment expenses must contain very specific information to be allowed. The receipt must show the date and location where the expense was incurred as well as who it was paid to. (Make sure you are scanning receipts- if you are not, then you could risk information on the receipt fading and not being legible in an audit.) You must also have on the receipt who you met with and what the purpose of the meeting was for. 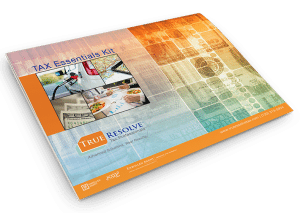 True Resolve Tax Professionals has put together a Tax Essential Kit that further explains these expense categories and provides you with downloadable logs for the paper and pen record keeper.